For SaleNever Was, Never Will Be. all stock, #100/100 autographed. My story. 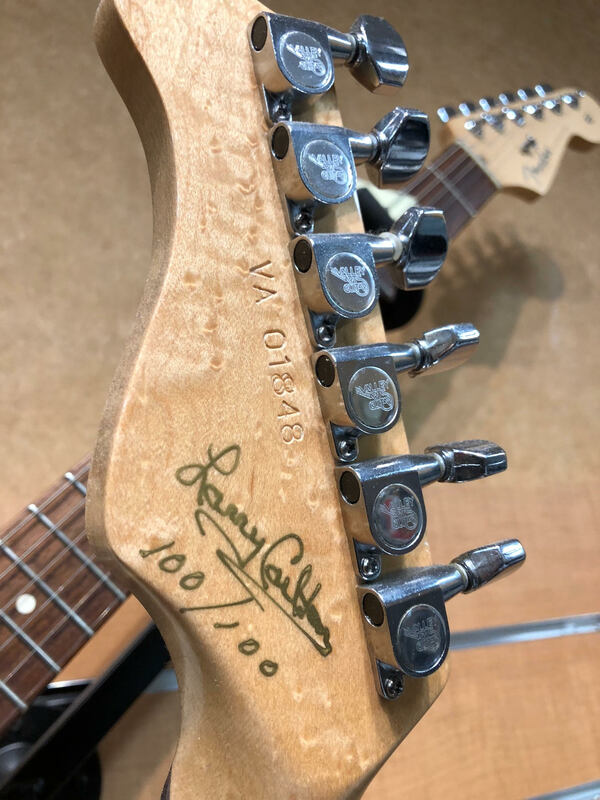 The guitar is 100% original except for one thing…the writing on the factory painted finish under the factory lacquer??? 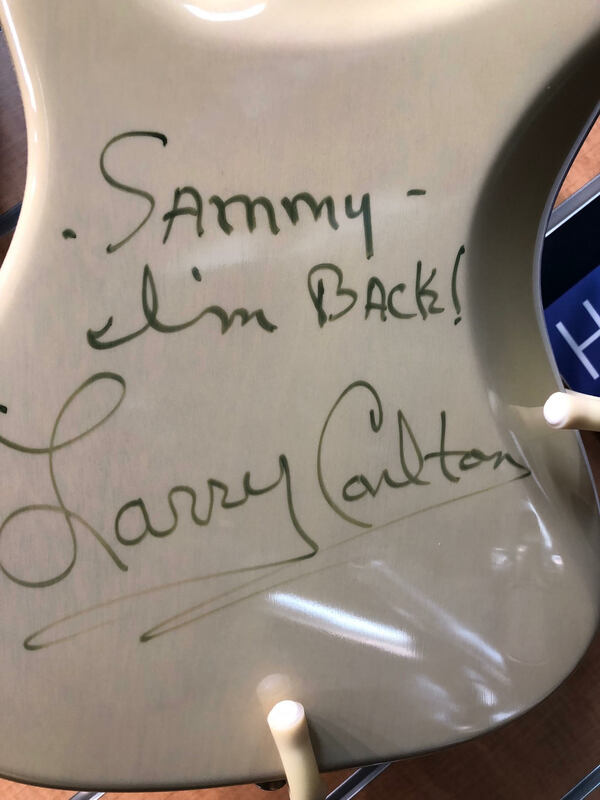 I always loved Valley Arts, I always loved P90’s and I always loved Larry Carlton. I have had the pleasure of meeting him a few times and was impressed with him as a person as much as I was always impressed with his playing. When he was wounded in 1989 I felt so bad that a member of the music and guitar community and a great person was injured and so close to being killed. When I found out that he would be recovering and the wounds weren’t life threatening I was so glad for him and his Family. My spirits were further lifted when I found out he was going back on the road. 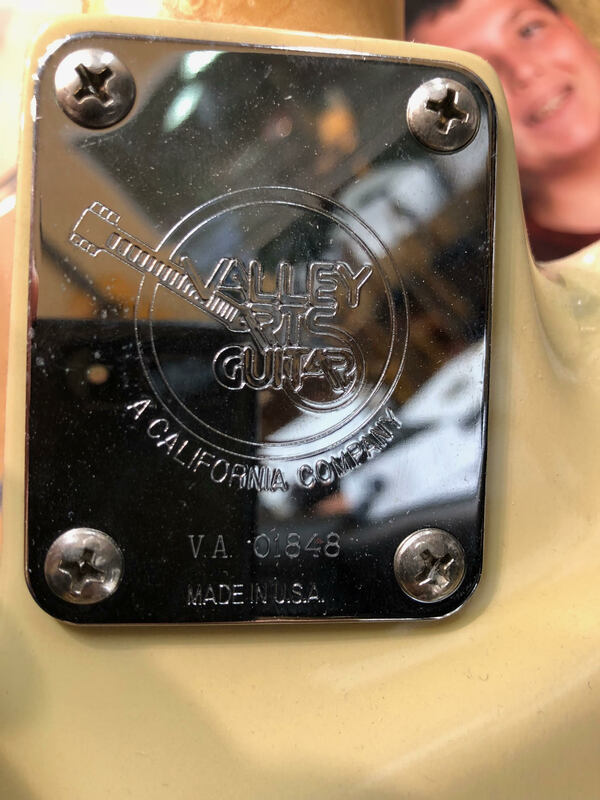 I found out from my friend Richard at VA that a small batch of guitars were being produced under the LC signature I had a brain storm (brain fart?). I had them send me the very last one in production (I have a serial number thing, hence 100/100) sealed and painted but not lacquered.